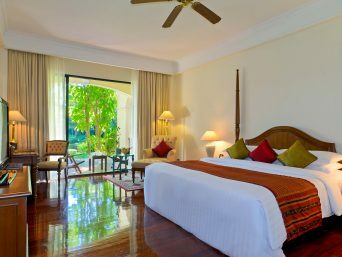 Located in the front building, each room is well decorated in the local wooden furniture style and offers a panoramic view. 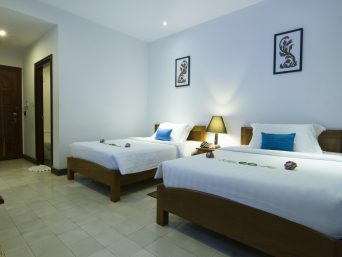 You can choose from double, twin or triple bed. 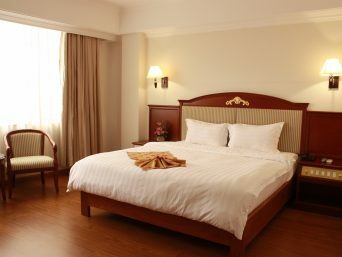 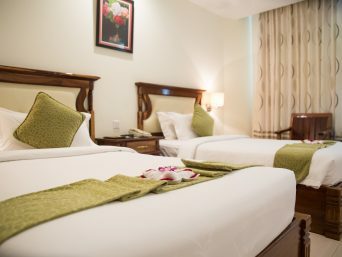 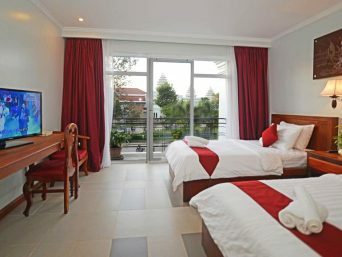 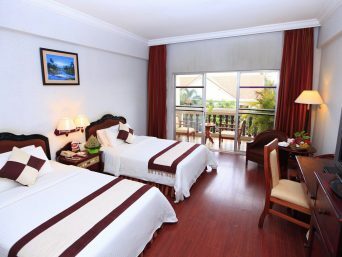 Located in the main building, we offer double, twin or triple rooms. 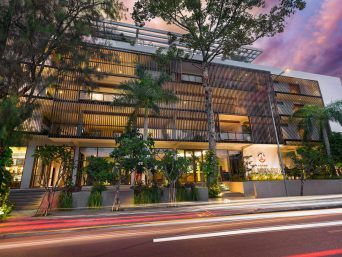 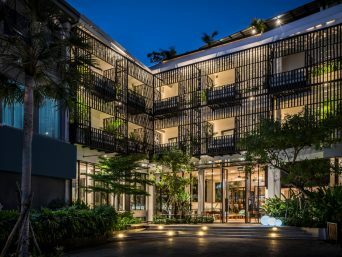 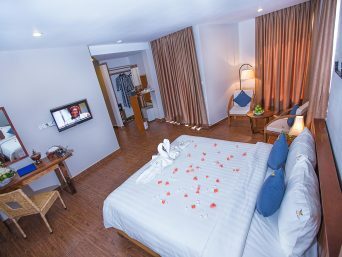 Each room comes with a balcony, Sony 32″ LCD TV with personal DVD player and a sensational view of the swimming pool and our tropical landscaped gardens. 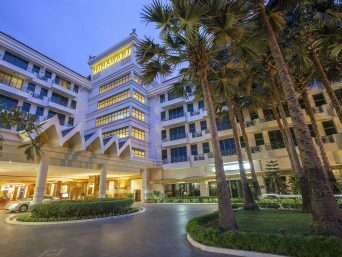 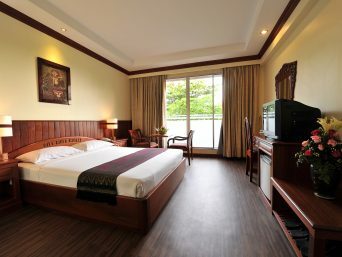 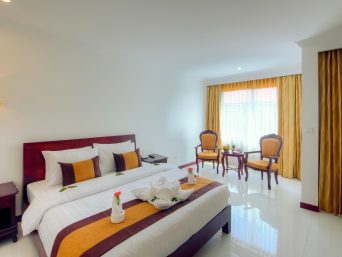 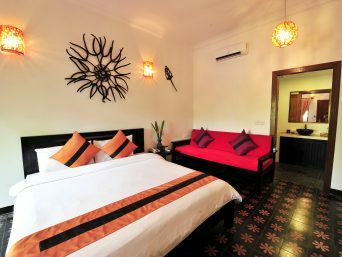 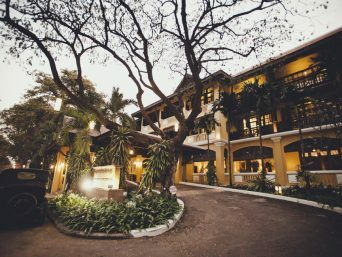 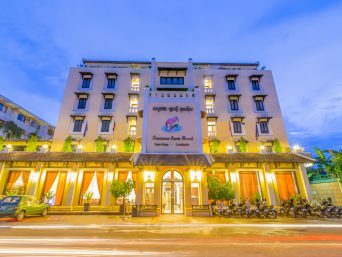 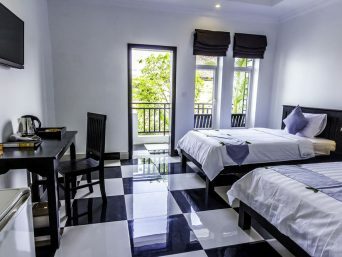 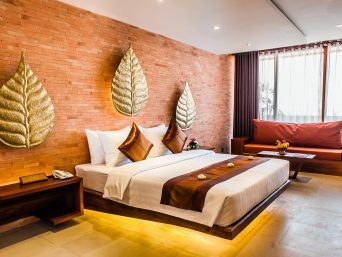 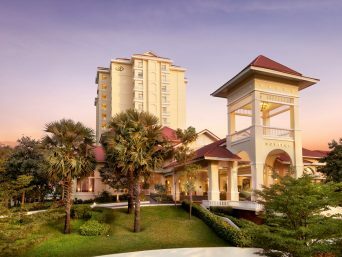 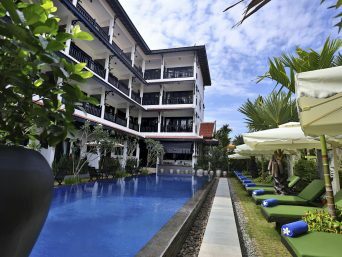 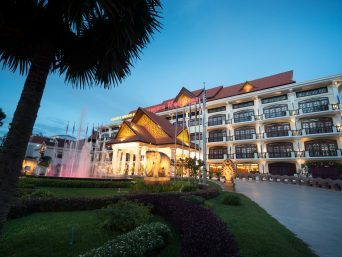 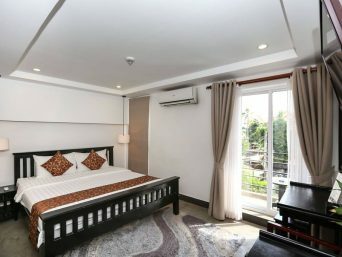 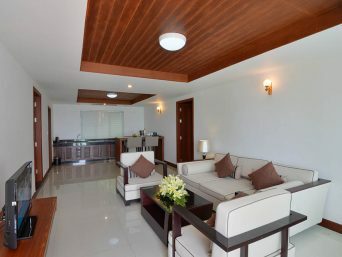 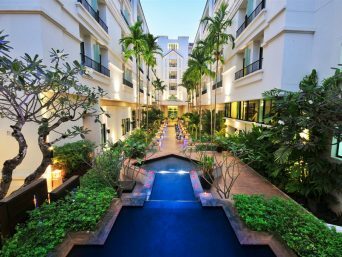 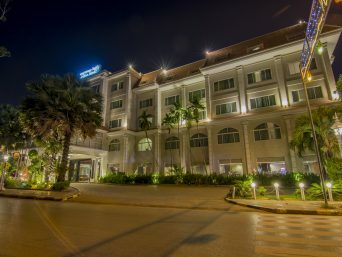 Located in the main building, each suite comprises a spacious living room and a master bedroom which is splendidly furnished with a luxurious blend of Cambodian art deco themes and Sony 32″ LCD TV with personal DVD player. 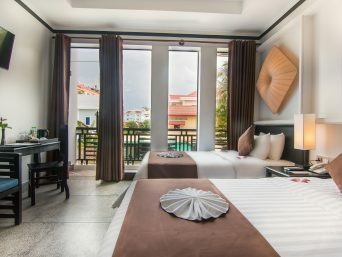 Located in the main building, each suite features a spacious living room and a master bedroom furnished with a blend of Cambodian art deco themes, a 32-inch flat-screen TV and DVD player. 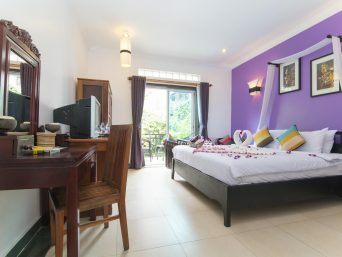 It offers views of the city and a luxurious en suite bathroom. 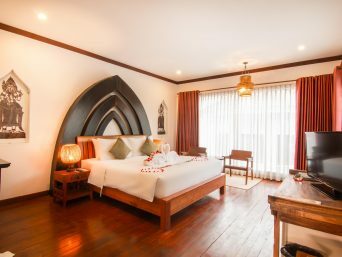 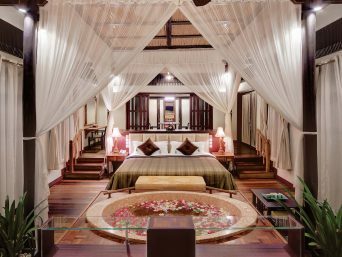 Decorated with local Cambodian artworks, this spacious suite comes with a separate living room, a 32-inch flat-screen TV and a DVD player. 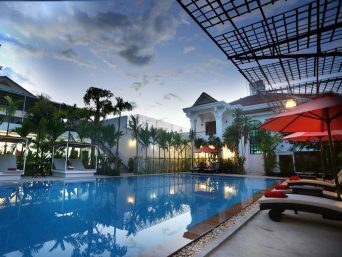 It enjoys beautiful views of the swimming pool and landscaped gardens. 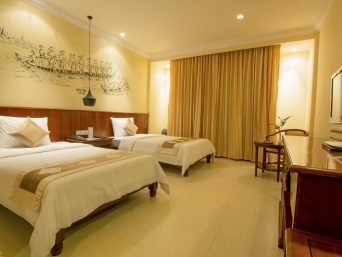 Sivatha Viv, Mondul II, Svay Dangkom, Siem Reap.